Blackberry smartphones famed for providing corporate emails since 1999 are designed by a Canadian company called Research in Motion (RIM). These first of its kind smart phones gave birth to emailing through mobile phones and are considered the best business phones ever for the plenty of business apps it supports. 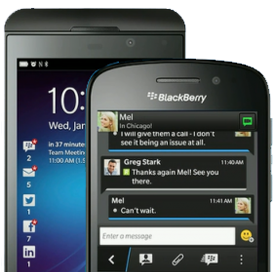 With many models and designs Blackberry smart phone is a standard in itself. Creative infoway has earned a repute of a world-class BlackBerry application development company. Have your app idea meet realty with us! Our team of developers is with you at every phase of the app development. After strategically designing the app wireframe and developing the app based on it, we test it for performance and User-Experience. Once your app is ready, we launch it on the BlackBerry World. If you plan to launch a paid BlackBerry application our experienced app consultants assists you to set a rewarding app pricing strategy. Creative infoway give you facility to hire blackberry developer to develop custom blackberry application on full time, part time or hourly basis, as per your needs. Our blackberry app development services packages are flexible enough to meet your blackberry app demands.